Own a Linn Sondek LP12? Then you need to try this. 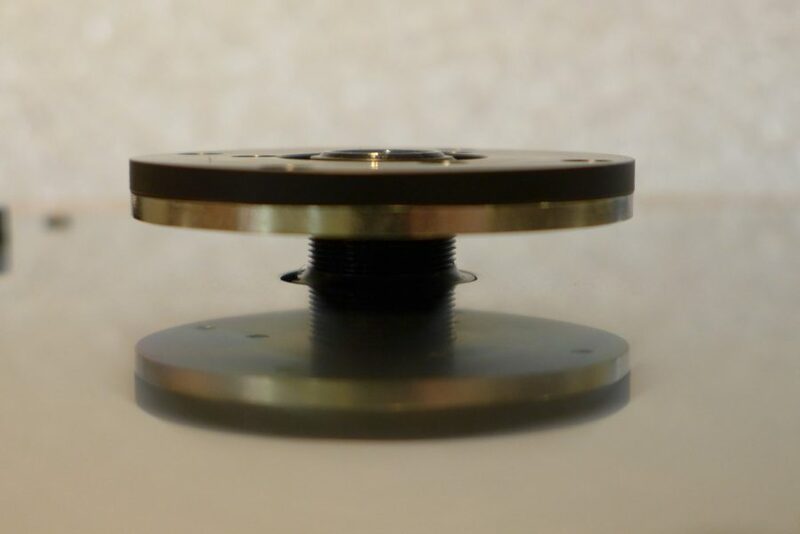 The Tiger Paw Tranquility is an ‘add-on’ LP12 bearing support that utilises opposing magnetic forces to partially levitate the entire platter assembly. This drastically reduces friction (around 90%) and hence bearing noise levels and also wear. So more music. Fitted in seconds; no modification is required to your LP12. Simply remove the outer platter, belt and inner platter, position Tranquility, reinstall the platters and belt and listen. Tranquility is on demonstration at Adventures now. You can compare on our demo LP12s, or bring your own turntable in to try it out. Compatible with both pre-Cirkus and Cirkus bearings along with standard sub chassis, Kore, Keel or Tiger Paw Akula sub chassis.